Mr Sarela is studying for a PhD in Medical Law, at the School of Law, University of Leeds. 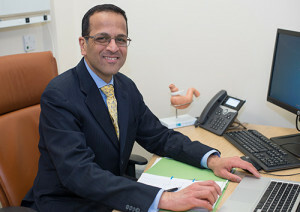 Mr Sarela is reading for his doctorate in law on a part-time basis, whilst he continues with his surgical practice. He registered for the PhD in October 2013, and he successfully completed the transfer from provisional to full registration in June 2015. He intends to submit his thesis by October 2018. The title of Mr Sarela’s PhD dissertation is ‘Understanding the Demands and Boundaries of Consent for Medical Treatment in the NHS’. The methodology is theoretical, and draws upon ethics, medical professional practice, UK common law and UK policies. Informed consent is central to medical treatment, particularly surgery. Consent is grounded in respect for autonomy of the patient by the doctor. Also, decision-making, with special emphasis on shared decision-making, is an integral component of valid consent. But, several aspects and nuances of consent are unclear. For example, what exactly do we mean by autonomy? Are we entirely free to do whatsoever we choose to do? Or, is autonomy subject to some boundaries and, if so, what are the legitimate boundaries? Is shared-decision making applicable in all situations? What are the obligations of doctors in the decision-making process? What are the limitations that are inescapably imposed by notions of distributive justice within a publicly funded healthcare system that has limited resources? Is there incongruence between normative and judicial formulations of consent, and how can schisms be resolved? These are some of the perplexing ethical and legal debates that are included in Mr Sarela’s doctoral work.